We have been a distributor for the range of Shasta products since 1998 and have used nothing else in our rebuilt Porsche 356 and 912 engines since. Proven in the toughest race and rally conditions, we have used them to win almost every significant historic car event in the world. Prill Porsche Classics has worked closely with Shasta over the years and has been involved in the development of several new products. Shasta is the only company that can offer you a piston or cylinder for every type of Porsche 356 engine including the Pre A. We also have all combinations for the Porsche 912. 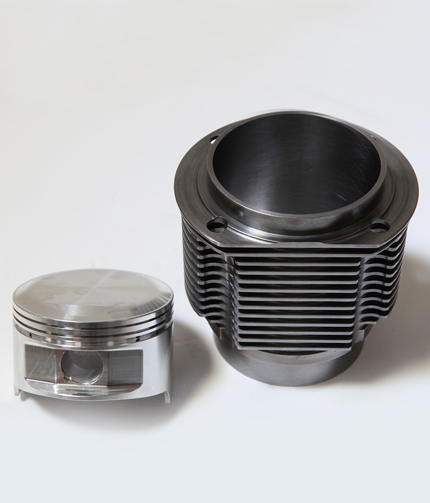 A recent development has been a 1900cc piston and cylinder set that has proved very successful in our twin spark engines. The quality of the Shasta product is unrivalled at any price.